Comprehensive organ preludes based on the hymn tunes of Lutheran Service Book. In the tradition of The Parish Organist and the Concordia Hymn Prelude Series, this is the first of 12 volumes of creative, substantive, and practical preludes for every organist and congregation. Series editor Kevin Hildebrand, M.Mus., M.A., is Associate Kantor at Concordia Theological Seminary, Fort Wayne, Indiana. Composer, educator, and recitalist, he is a frequent organ workshop leader. He has over 40 music publications with Concordia Publishing House, including the popular “Six Hymn Improvisations” series. The Concordia Hymn Prelude Library promises to be an invaluable resource for providing new, relevant attendant organ music for the service. Organists of our time frequently seek to match the prelude, voluntary, and postlude to the hymns of the service. In some cases, as introductions to the hymns these pieces can reflect the historic practice of the organist playing a prelude before the singing of the hymn. 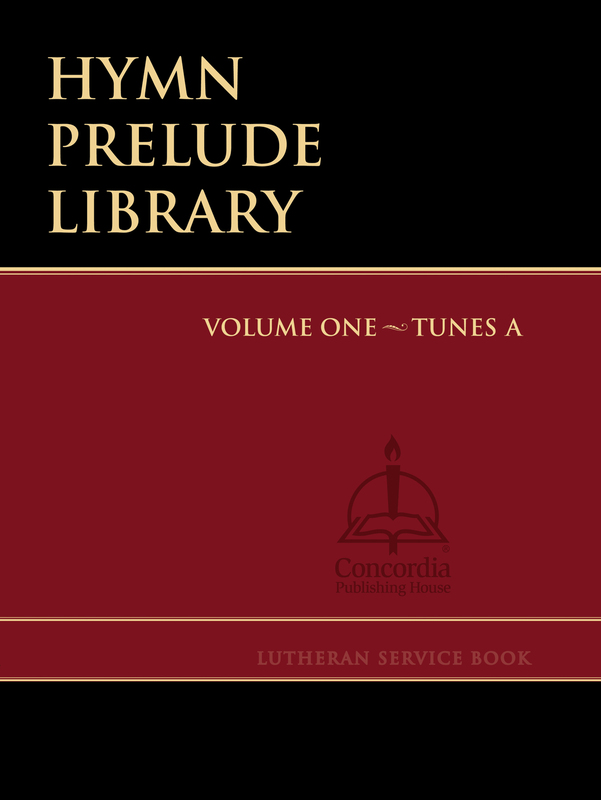 While many collections provide settings of popular tunes, the Hymn Prelude Library will present preludes for all of the tunes in Lutheran Service Book. Drawing upon a variety of composers and styles and levels of difficulty, the Hymn Prelude Library is a must-have collection for every organist or their congregation. In my experience, every organist continually looks for new and interesting ways to present and lead the song of their congregation. We look for pieces which portray hymn tunes in ways which are musically interesting, sensitive to the character of the hymn text, and which are accessible and able to be learned in a relatively short period of time. The new LSB Hymn Prelude Library provides organists with just that. But, not just for selected hymn tunes - for every hymn tune in Lutheran Service Book. For these reasons the Hymn Prelude Library will be a very useful and indispensable tool in leading the worshipping assembly in song. The new Hymn Prelude Library continues a long tradition at CPH of providing organists with well-crafted hymn settings suitable for use in worship. This new series offers substantial settings that are well edited and promises to be a valuable resource for years to come.